Many of the most respected Bordeaux chateaux proudly offered their soon to be released 2008 vintage to a large and eager crowd in the Barker Hanger of the Santa Monica Airport Saturday January 22, 2011. The 2008 vintage was afflicted by early weather issues that reduced yields to levels not seen since 1991, but nevertheless it finished strong with a warm September and a dry harvest season. An early bud break was subsequently confounded by periods of cold and rain that caused coulure, millerandage, and risk of mildew. The vintage was rescued by a warm September and October along with judicious green harvesting of clusters that had been ruined by the uncooperative spring weather. 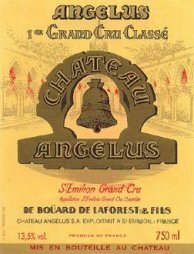 The wines generally could be described as good, but not a blockbuster vintage. Many will evolve into wonderful wines and are offered at reasonable prices compared to 2005 and the even more ridiculously priced 2009 vintage. While there were no first growths present and a few of the upper echelon seconds notably missing, a few wines were clear standouts. Full Disclosure: I paid the $60 retail admission to attend this event and received no special perks or benefits in exchange for my reviews. 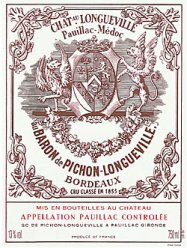 I have ordered the 2008 Pichon Baron, Langoa Barton, and Batailley for my personal cellar.